Chicken + Baboy = ChicBoy! Once in a while, I find it truly relaxing to unwind and to just enjoy simple dishes that is truly comforting. Such is the case when enjoying a plate of local grilled dishes such as Chicken Inasal, liempo (pork belly), sisig (sizzling minced pig ears) and a lot more. So what happens when you put together a wide array of delicious grilled meats while highlighting Chicken and Pork (Baboy)? You then get Chic-Boy! As a sidenote, Chickboy, in the Filipino language is used to connote a lady's man. A guy who knows his way with the girls. This restaurant cleverly created their name that sounds similar to this local term. However, Chic-boy is not only for the lady's man but is actually open for everyone who wants to enjoy good Chicken Inasal, Liempo, Lechon Sisig, Lechon Manok and a lot more! We were so lucky to be invited by fellow blogger Spanky to taste a number of their specialty dishes one evening and allow me to share my dining experience with all of you. Unlike other food blogging evens, we were allowed to march up to the counter and take our pick from their menu. Paul and I wanted to try their best-sellers and so agreed to order two different sets to share. I got the Chicken Paa (leg) set (Php. 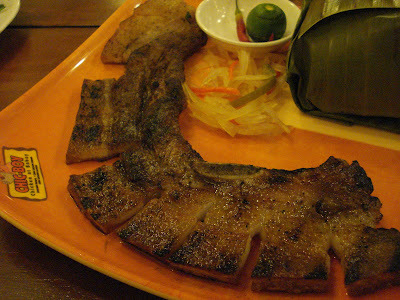 94) while he got the Liempo (pork belly) set (Php. 99). Both sets came with plain rice and soup. The good thing also is that you can eat as much rice as you can as their rice is unlimited! 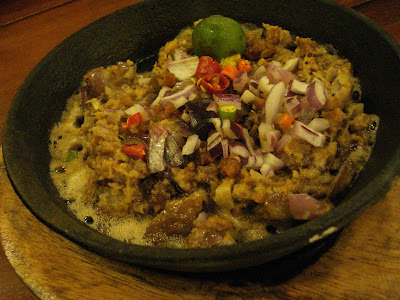 In addition to this, we also got the Lechon Sisig (Php. 60) and the Ginisang Kangkong sa Bawang (Php. 30) as additional viands. On the table, we have a bottles of Inasal oil and garlic chips. I boldly poured the oil on my rice until it turned orange and sprinkled loads of garlic chips on top. Paul just watched in amazement. 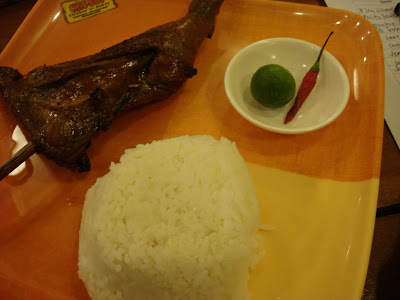 I am an Inasal fan and one reason is because I love the rice! My chicken inasal was tender and well-cooked. Though I felt it was a bit tiny compared to the chicken inasal that my sister and I enjoyed in Bacolod, the flavor was still intact and the experience was still great! Looking at Paul, he seems to have enjoyed his liempo set as he commented that it was juicy and flavorful. Being a Kapampangan, it can be a bit of a challenge to please his taste buds after being exposed to the delicious dishes that he has grown accustomed too. It's then noteworthy that Chic-boy's liempo has passed his taste buds with flying colors. I also enjoy the Lechon Sisig which has the right crunch in every bite. Now I know where to get my sisig whenever I crave for some and Pampanga is quite a long drive away. 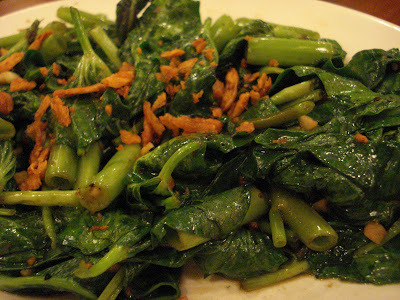 Lastly, the Ginisang Kangkong sa Bawang (sauteed kangkong in garlic) is also a good accompaniment to your meat dishes. It wasn't too salty nor was it lacking in flavor. I love the light hint of garlic that went well with my inasal rice. As I write this, I am missing all these that we enjoyed during our first visit to Chic-boy, looks like a second visit will happen pretty soon. Chic-boy is located along Jupiter street in Makati City. It's right beside Legend of India. im in the process of trying everything in chic-boy. hehe. Hi Fran! I hope we bump to each other at Chic-Boy on our return, too.